A Mexican man who tried to drive a load of more than 13,500 pounds of marijuana into the United States through Nogales was sentenced Tuesday to 10-years in federal prison. Enrique Valencia Lopez had previously been found guilty during a jury trial at U.S. District Court in Tucson. On May 13, 2017, U.S. Customs and Border Protection officers at the Mariposa Port of Entry referred Valencia and his tractor-trailer for further inspection. 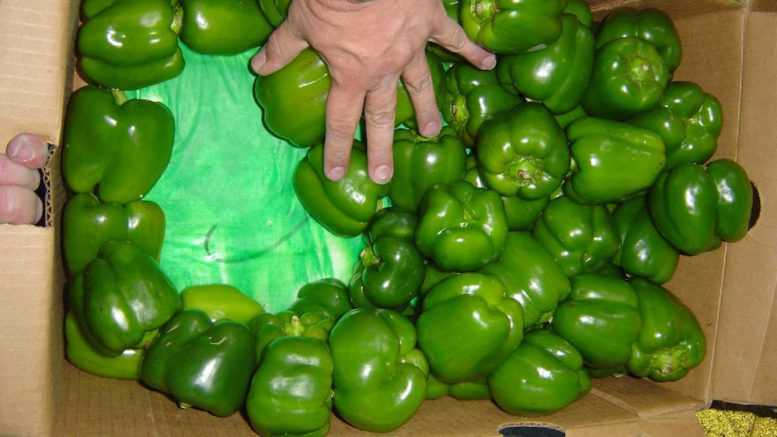 Once his load of bell peppers was off-loaded, a drug dog alerted to the marijuana cargo, according to CBP. A subsequent search revealed the 13,700-pound pot load, which had been co-mingled with the produce. The marijuana had a estimated value of $6.85-million. Valencia claimed that gunmen pulled him over before he reached the border. They took him hostage and took his tractor-trailer. They later returned with the tractor-trailer and told him to drive across the border as if nothing had happened. He told the court that it must have been the gunmen who put the marijuana load in the tractor-trailer.